Marietta, GA sits just Northwest of the Atlanta, GA beltline, just on the edge of the greater metropolitan area. 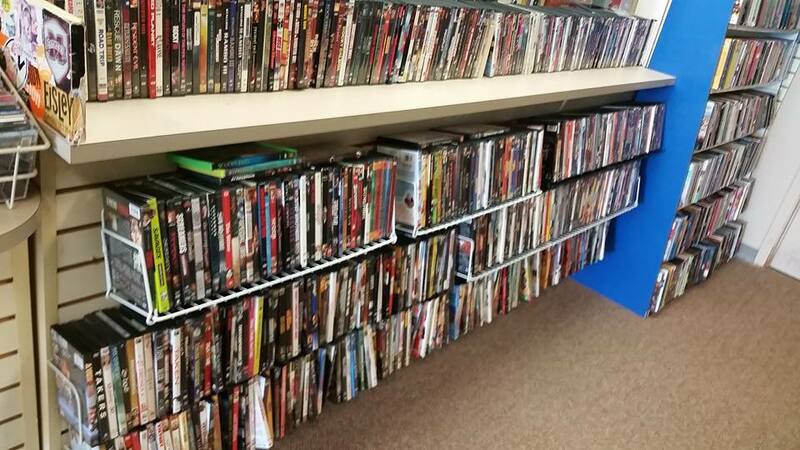 It home to one of the few remaining CD Warehouse locations in the area, along with sister shops in Duluth and Roswell. 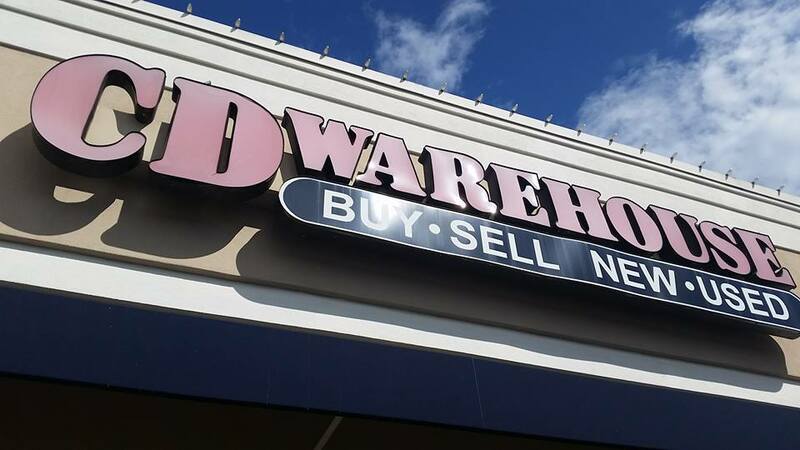 I’ve been to a few different locations of the chain in Tennessee and North Carolina over the years, but they have been rapidly dying off in recent years as they have generally failed to adapt to the new landscape of the business. Lucky for me, this turned out to be a fantastic haul, and probably the best I have ever pulled out of a CD Warehouse. 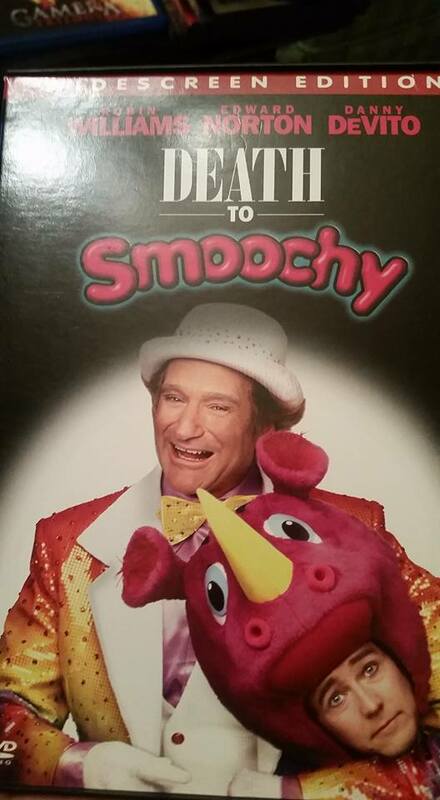 With the death of Robin Williams last year, I feel like people have been going back to give this movie another shot. Critics at the time panned it, but it has gained some cult acclaim over the years after running on Comedy Central through countless late night blocks. This may very well have been a nail in the coffin of Danny DeVito’s directing career, as he has since careened into the world of self-parody. However, I have always liked the twisted take on the competitive world of children’s entertainment, and personally regard it as on par with (or better than) DeVito’s other directorial works. That said, it has been a while, and I’ll be interested to see how it holds up now. 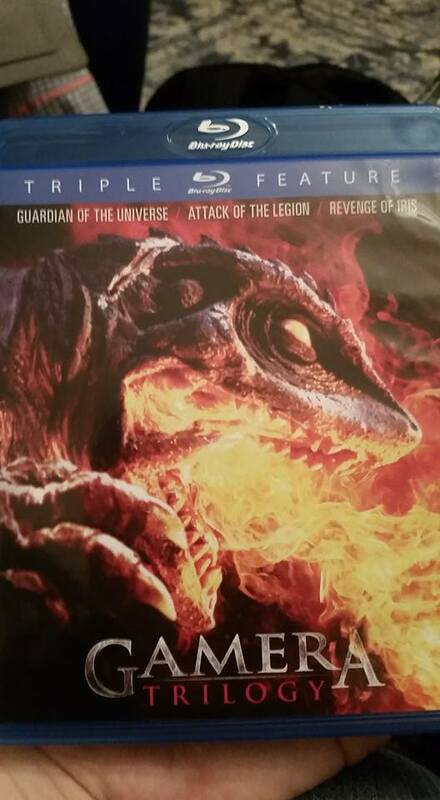 This is a collection of the Hesei era Gamera movies, also known as the Gamera trilogy. I did a marathon of the hilarious Showa era Gamera movies last year, but I have been hearing that these Hesei flicks are actually pretty fantastic watches. Now that I have copies (on Blu-Ray no less), I’ll have to finally give them a watch. 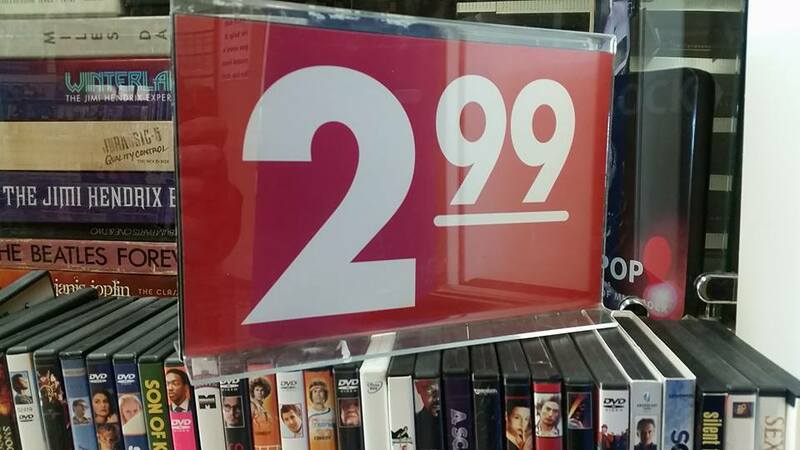 We all know this movie. 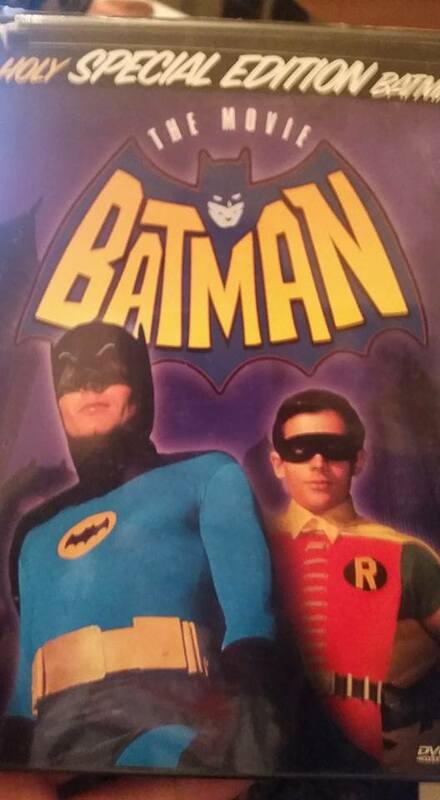 The feature-length spotlight on Adam West’s campy version of Batman is unforgettable, from the cast of villains to the giant bomb to the shark repellent bat spray. At the very least, this movie is a nostalgia trip of the highest order. 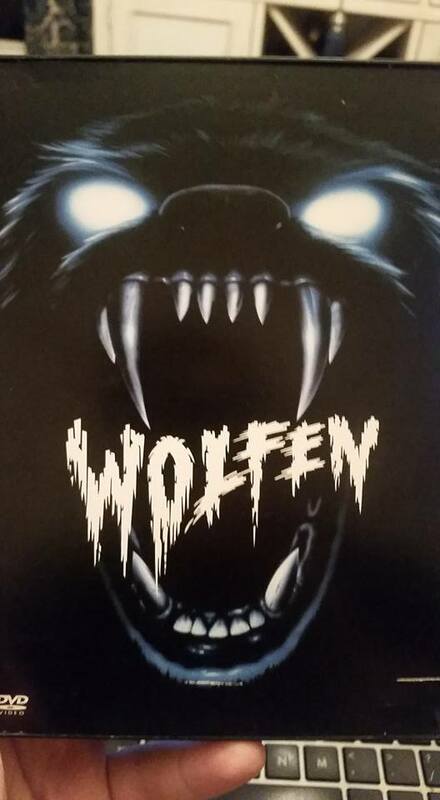 This is arguably the most under-appreciated werewolf movie out there, and it is also a flick I have never had the chance to sink my teeth into. I’ve heard a lot of good things about it, but had never come across a copy of it until I spotted it here. 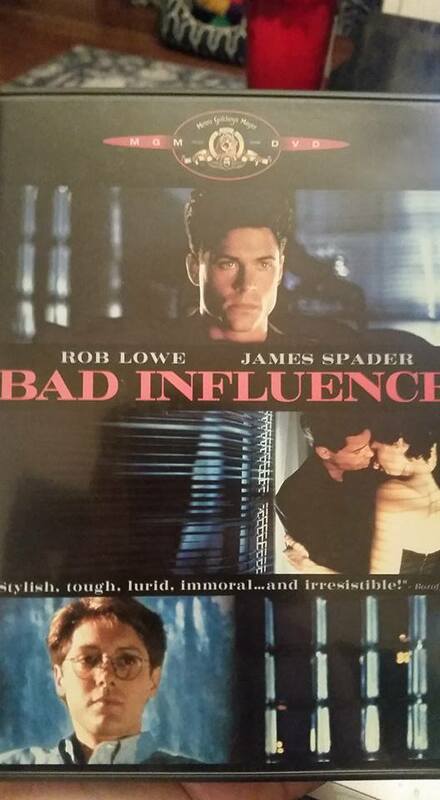 James Spader and Rob Lowe are two guys that I just can’t help but like, regardless of the movie or television show they pop up in. David Koepp, the writer on this movie, has been responsible for everything from the Dolph Lundgren cult classic I Come In Peace to blockbusters like Jurassic Park and Mission: Impossible, as well as the tragically underrated Nic Cage / Brian De Palma movie Snake Eyes. Director Curtis Hanson went on to helm flicks like L.A. Confidential and 8 Mile, so I have every reason to believe that this is going to be a movie that is worth my time. It made some money back when it released, but never got big enough to enter the public consciousness, which is probably why I have never heard much about it. The premise and casting has me curious though, so I’m eager to see what it has to offer. The career of Matthew McConaughey in the era before the McConaissance was a dark and strange place. 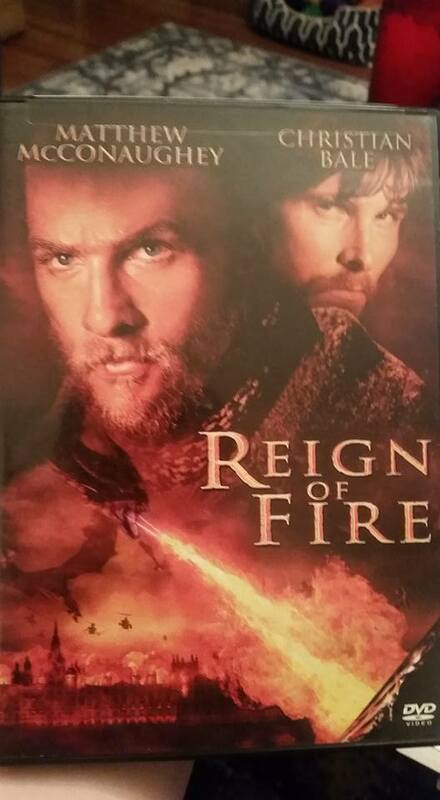 Back in 2002, he starred alongside fellow future-stars Christian Bale and Gerard Butler in the bizarre dystopian fantasy film Reign of Fire. Some people remember this flick fondly, but critics and audiences at the time widely panned it. That said, reviews seem to have softened over the years, indicating that it may be time to give it another shot. I have’t watched it in roughly a decade, so I’m curious to see how it holds up. 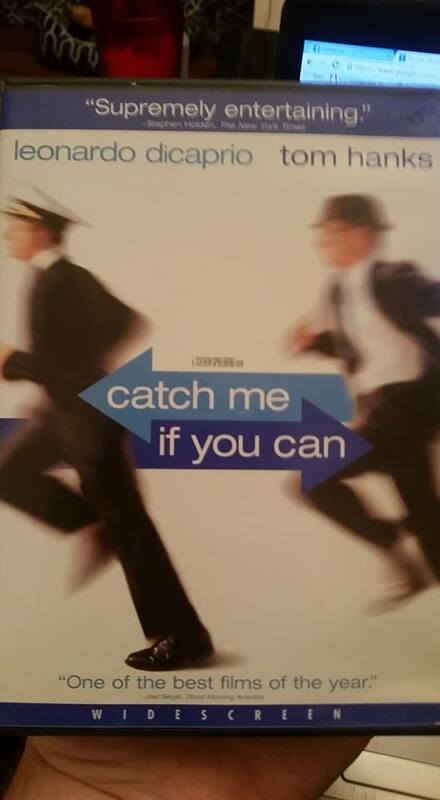 Catch Me If You Can is one of my favorite Steven Spielberg movies, if not my hands-down favorite. Really. I think it is John WIlliams’s best score (or at least in the running), one of both Leo’s and Hanks’s best performances, and is one of the best biopics out there. It blends suspense, comedy, drama, and style effortlessly, and is a rare movie that seemed to please audiences and critics alike. For whatever reason, it often gets shoved aside when discussing the career of Spielberg, which I think is unfair. The movie is one of the most well-balanced films in his filmograpy, which is made of up of a mixture of man-child indulgences (E.T., 1941, Hook), blockbuster fodder (Jurassic Park, War of the Worlds) and excessively heavy dramas (Amistad, Schindler’s List, Munich) with not a whole lot in the middle ground. Catch Me If You Can showcases every side of Spielberg: his flair for drama, his love of child-like wonder, his heart for adventure, and his ability to create a film with the widest possible appeal. The more I think about it, the more I look forward to re-watching this flick. 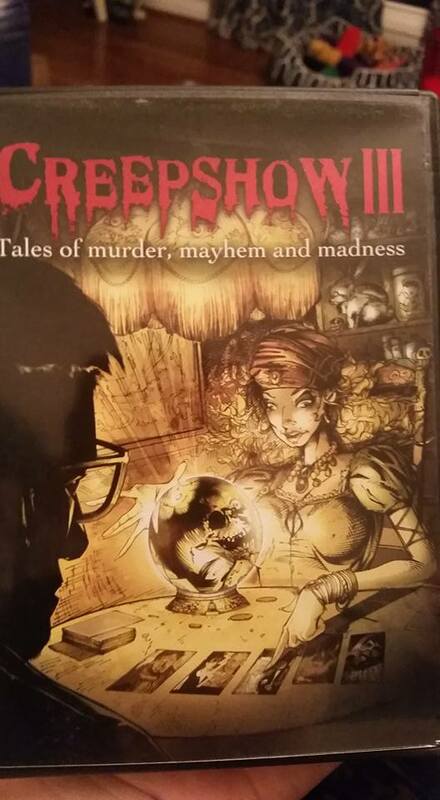 I know what you are thinking: “there was a Creepshow III?” As a matter of fact, there was! And no one in the entire universe gave half a damn, because it is absolute garbage. The movie released nearly 20 years after Creepshow 2 to absolutely no acclaim, and currently holds an abysmal score of 2.9 on IMDb, along with Rotten Tomatoes ratings of 0% from critics and 11% from audiences. The only things I know about it are that it exists and that it is nearly unwatchable, so I’ll be giving it a go soon enough. Brian De Palma has had a career filled with ups and downs. 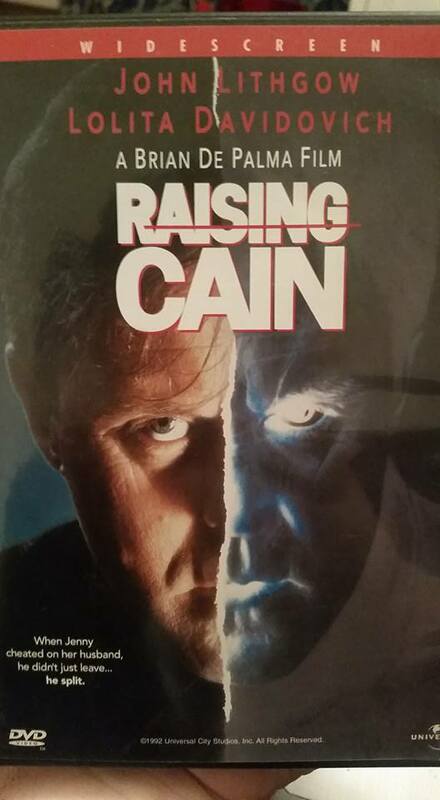 1992’s Raising Cain released immediately following what was arguably his lowest low: 1990’s The Bonfire of the Vanities. It also immediately preceded a bit of a De Palma revival with Carlito’s Way and Mission Impossible, along with a personal favorite of mine, 1998’s Snake Eyes. I don’t know anything about this particular flick, but I’m interested to see where it falls on the wide spectrum of Brian De Palma’s career. From another angle, I’m interested to see how John Lithgow is in this movie. Audiences today can certainly buy him as a menacing presence since his acclaimed role on the television series Dexter, but 1992 was a very long time ago for Lithgow’s career. People might have recognized him from The Twilight Zone movie, or Harry and The Hendersons, or perhaps from Footloose. At this point, he hadn’t even become recognizable for his role on 3rd Rock From The Sun. Given his next role after this was as a villain in a Sylvester Stallone action flick (Cliffhanger), I’m pretty sure this didn’t break any boundaries for him. I’m sure it’ll be an interesting watch for his performance all the same, because he is not a man who is known for phoning it in. I mean, just watch the trailer for this movie. Somehow, I think Lithgow will keep things entertaining. Smokin’ Aces is, if you ask me, a damn fun crime movie. It isn’t a masterpiece by any means, but I’ve never not had a good time watching through it. 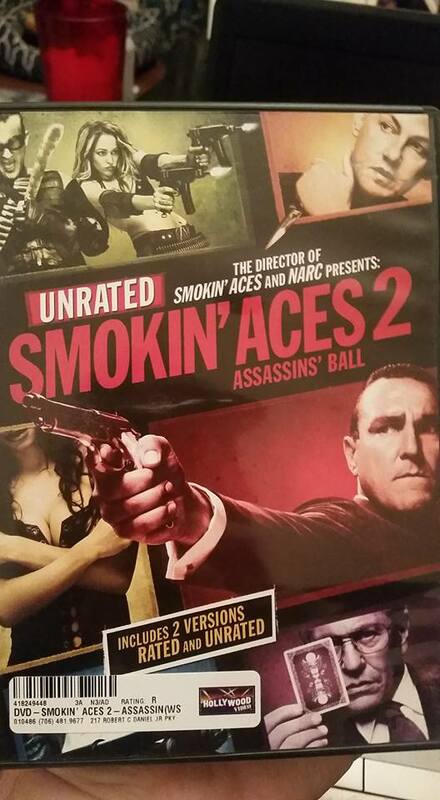 Smokin Aces 2, on the other hand, is a very different story. I remember watching this on VOD when it first came out, and I’ve never gone back to it since. Honestly, I only remember brief flashes of it, and the feeling of unsurprising disappointment when all was said and done. Looking back at the cast list now, however, I’m curious to give it a re-watch. Ernie Hudson? 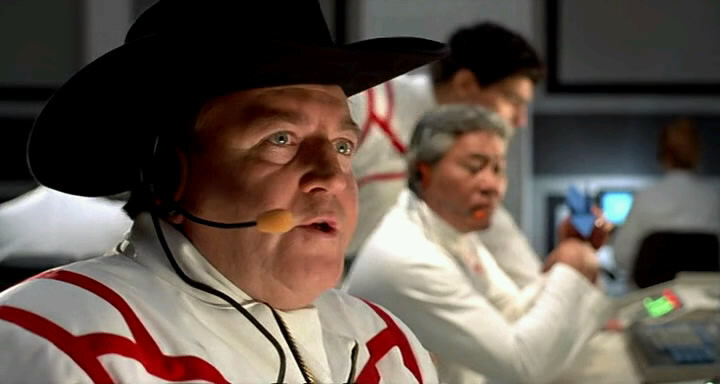 Tom Berenger? Michael Parks? I recalled Vinnie Jones, but not the rest of these folks. 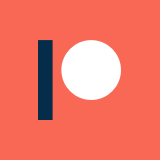 Maybe there will be more to redeem it on this go-around? The combination of director Mike Hodges and leading man Clive Owen worked wonders in the cult classic, Croupier. A few years later, the tandem tried to re-bottle the lightning with I’ll Sleep When I’m Dead, with a supporting cast that included Jonathan Rhys Meyers and Malcolm McDowell. Despite a few positive heralds, it generally didn’t fly with critics or audiences at the time, due primarily to its perceived dullness and a convoluted ending. I remember seeing this go in and out of my Netflix queue a few times over the years, but I never had a chance to sit down to watch it. 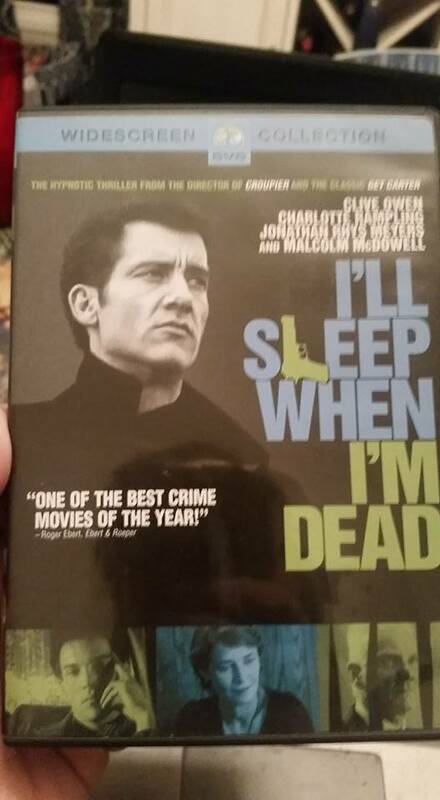 I generally like Clive Owen’s work, particularly in crime dramas, and I am also a big fan of Malcolm McDowell when he isn’t phoning in a role for a paycheck. I’m interested to see if this slow-burner is deserving of its negative reputation. This opinion can almost certainly be attributed to frequent clashes between the author and director/co-writer Stuart Gordon over what the direction and tone of the film should be, which caused much of the production to apparently become a nightmare. Gordon wanted an audience-friendly story that could act as a visual, action-packed spectacle, whereas Haldeman was more interested in the story being a serious, harder sci-fi war drama. These visions proved, of course, to be generally incompatible. 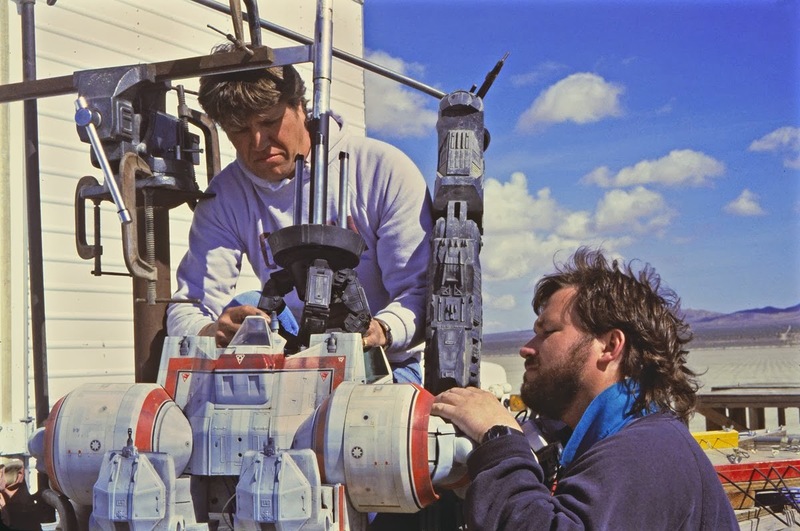 Charles Band and his company, Empire Pictures, produced “Robot Jox,” just as they had done for Stuart Gordon’s earlier films “Dolls,” “From Beyond,” and “The Reanimator.” However, “Robot Jox” proved to be a much larger project for the company: the budget reportedly eventually hit $10 million, making it the most expensive undertaking by far for the b-movie outfit. 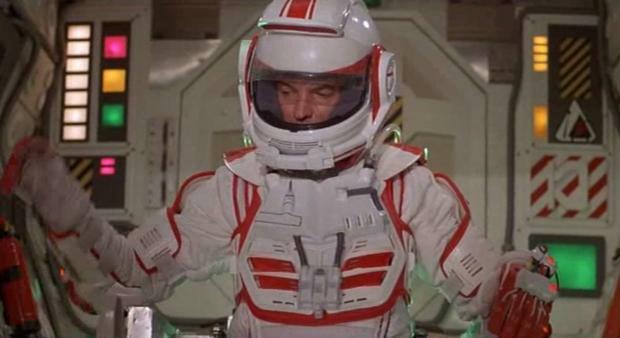 “Robot Jox” suffered significant delays on its release date due to the (perhaps predictable) bankruptcy of Charles Band’s Empire Pictures, which left it in limbo for a couple of years after the film was finished shooting. The box office results on “Robot Jox” proved to be nearly as unfortunate and disastrous as the production process. On the rumored $10 million budget, the movie barely grossed $1.2 million in its limited theatrical release. Audiences at the time weren’t particularly thrilled with the movie, though it has certainly gained cult acclaim in the years since its release. It currently hold a 5.2 rating on IMDb and a 41% audience score on Rotten Tomatoes, through you would certainly get a different response from a group of bad movie lovers today. 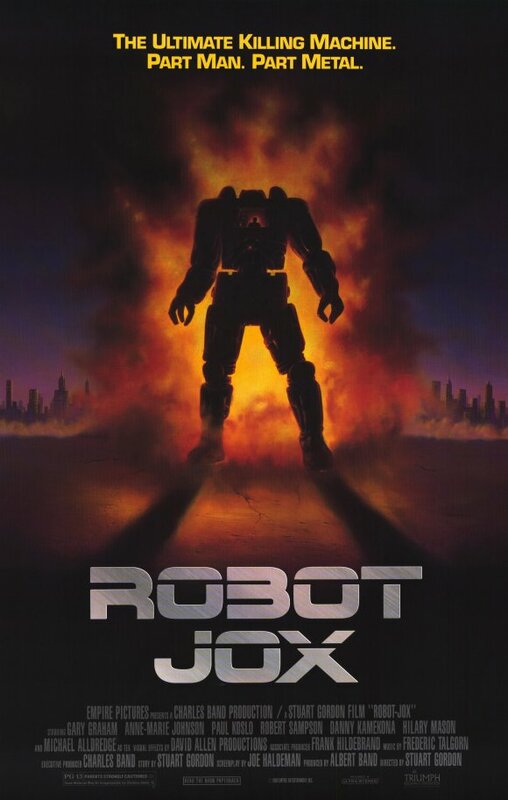 The story of “Robot Jox” takes place in a post-apocalyptic world where international conflicts are settled through competitive combat utilizing large, piloted robots. A particular pilot, Alexander, has been causing havoc on the United States, defeating nine pilots in a row as the story begins. The meat of the story follows Achilles, an American pilot who is burned out following a traumatic bout with Alexander that proves fatal to a group of spectator civilians. He is forced to deal with the disdain from his fellow pilots and people for his decision to withdraw from competition, and has to make hard choices that will have global consequences. 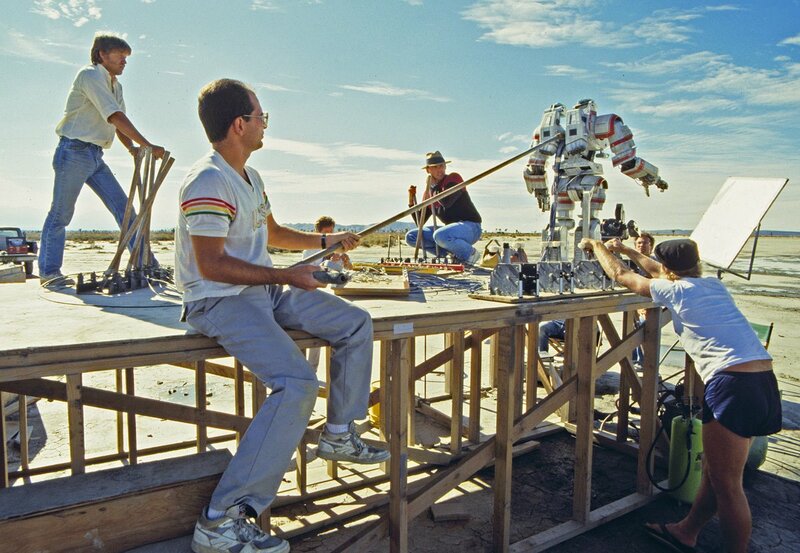 The popularity of “Robot Jox” has significantly grown in the years since its flubbed theatrical release. It has recently been featured on the internet review show “Best of the Worst” by RedLetterMedia, it has inspired the Bad Movie Fiends Podcast to name it’s positive review scale “1-5 Jox” in honor of the film, and it even had sound bites remixed into a Nine Inch Nails track by Trent Reznor. Its cult status has even gotten it 35mm theatrical screenings at a couple of the Alamo Drafthouse Theaters in recent years. The release and popularity of Gullermo Del Toro’s “Pacific Rim” has also brought increased attention and viewership to the cult classic in the past few years, drawing many comparisons between the films by bringing giant, piloted robots back to the big screen. “Robot Jox” does a pretty decent job of building up the desensitized and callous dystopian society that surrounds the plot. I wouldn’t quite call the details subtle, but the hostile and unempathetic behavior of the average person in the world is always noticeably in the background. Personally, I think this makes the peaceful ending all the more impressive and optimistic, but I am sure that many out there would disagree. Something that I noticed through reading reviews of “Robot Jox” is that even most of the negative reviews admit that the film is oddly endearing and fun to watch. Most of the complaints strike me as anachronistic gripes about the use of stop motion, or express issues with the overacting in one breath, only to ironically praise it in the next. This is clearly regarded as a classic good-bad film for a reason. Personally, I think that the stop motion work in “Robot Jox” still looks pretty good for what it is. The method has fallen out of favor in recent years due to the expense involved, and because of the increasing availability of more (ironically) “realistic” computer-generated effects. 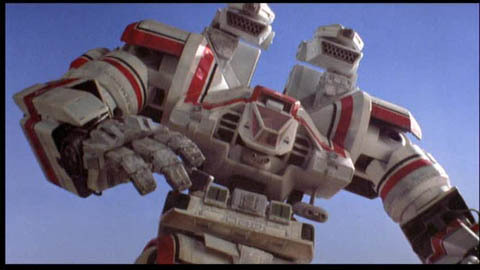 At the time, however, this was as good as a live action giant robot movie could get effects-wise. My personal favorite sequence of “Robot Jox” is probably during the pilot training program, in which about 20 people are forced to climb an electrified jungle gym in a strobe-lighted room. It is at once clever, ridiculous, unnecessary, and perfectly placed in a movie filled with outlandish concepts and designs. As iconic as the last shot of “Robot Jox” is, I feel like the ending probably turned off many typical action movie fans at the time. Conventional logic would have Achilles defeat Alexander, and Alexander pay for his murderous asshattery with a gruesome death. However, the ending winds up showcasing growth on the parts of both men, and they are able to bond over the camaraderie of being driven combatants who struggle to find meaning outside of the fight. The more I think about it, the more I like it. It helps that the acting is hilariously over-the-top and melodramatic, and that it ends on a freeze-frame. You just can’t ask for anything better than that. Speaking of which, the over-the-top performances in “Robot Jox” define the movie just about as much as the robots themselves. Particularly, Michael Alldredge as “Tex” and Paul Koslo’s Alexander steal the show, chewing every bit of scenery that they can get their hands on. Gary Graham is perfectly melodramatic as Achilles, and clashes with Koslo’s Alexander in just about every way you can imagine. 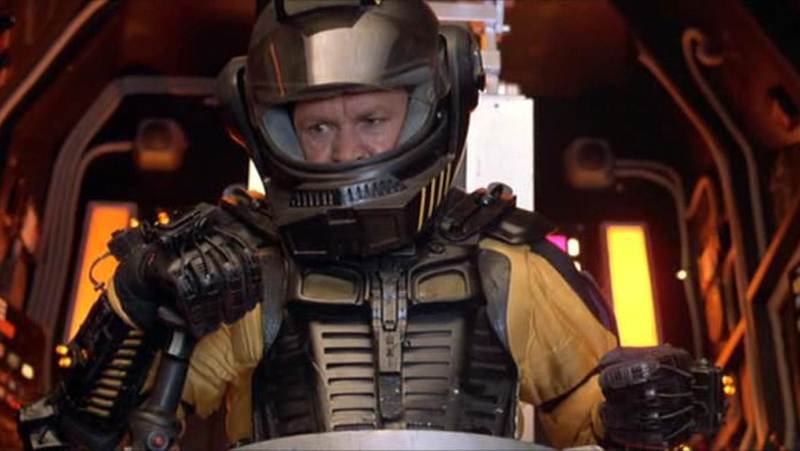 Keen eyes might also spot Stuart Gordon regulars such as Jeffrey Combs and Carolyn Purdy-Gordon filling in background roles. 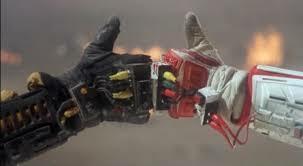 Overall, “Robot Jox” is one of the better good-bad movies out there that hasn’t quite seeped into the public consciousness yet. It isn’t on the level of “Troll 2,” “The Room,” or “Birdemic,” but it may very well be on its way. It is a fantastic showcase of Stuart Gordon’s peculiar style, which is particularly unusual given it is outside of his usual genre of horror. Despite the poor reception at the time, the second wind of this film in the secondary market is more than deserved, and I hope to see a blu-ray release at some point in the future. In any case, many regard this as their favorite Stuart Gordon movie, and I certainly get where they are coming from. 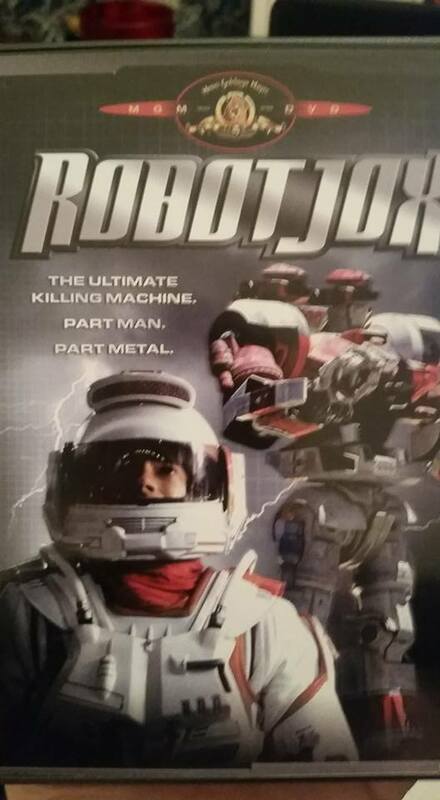 It goes without saying that this is a strong recommendation from me: “Robot Jox” will serve for any of your potential bad movie nite needs without any doubt. 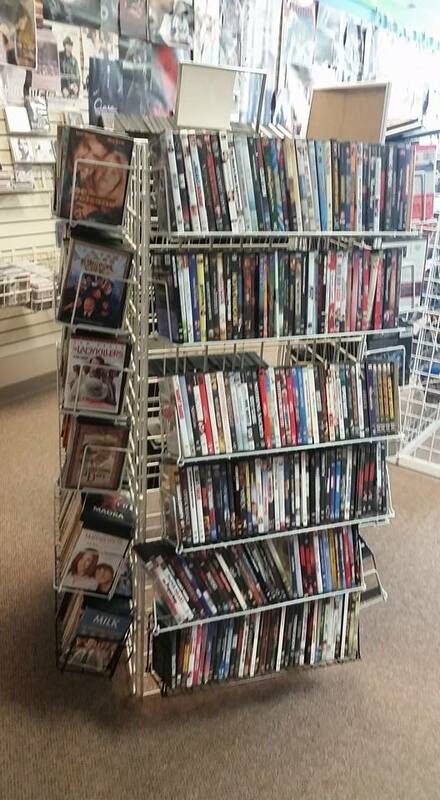 If you go in knowing what this is, you won’t suffer the disappointment that 1990 theatrical audiences did. Just stop worrying, and love the Jox. Crash and burn.